"'I love you,' he whispered, and kissed my brow. 'Thorns and all.'" "When you look at it—when you acknowledge it—that's when it becomes real. That's when it can kill you." I had to read this book because I just had to know what the hype was about. Everybody is swooning about Rhysand all over social media, so my curiosity kicked into high gear. After reading it for myself, I don't think this book is as amazing as the hype, but, it was better than I anticipated (I was expecting to have to give it a 2-star rating). Let's talk about the plot first. The plot drags for nearly half the book, in my opinion. I realize that the "in" thing in YA lit these days is to throw the reader into the main "problem" of the story right away, to hook them from the beginning. But I didn't feel like this book did that. That's not necessarily a bad thing, but the pace was a little slow for me. I did like that it was a sort of retelling of Beauty and the Beast. So, the writing style: I was not a huge fan of it. The author uses ellipses and other punctuation to show the character drifting in thought or an interruption of thought far too much. She also loves to use dashes. It distracts from the story. (This is probably just a personal pet peeve, but I wasn't a fan of it.) There were other things, like the author using "smirk" in exorbitant amounts to describe Lucien and saying dozens of times that Rhsyand "purred" (just in case you forgot that he's attractive and feline in nature). I really enjoyed the author's world building of Prithian, especially with the different Courts and different kinds of fairies. I liked that she challenged the typical view of fairies as tiny, female characters with a lot of sass (aka Tinkerbell). These fairies were much more like Tolkien's elves. The story was engaging once the pace picked up halfway in, and I want to know what happens with the main characters. I want to know why everyone is in love with Rhysand, because I still think he's kinda a jerk. 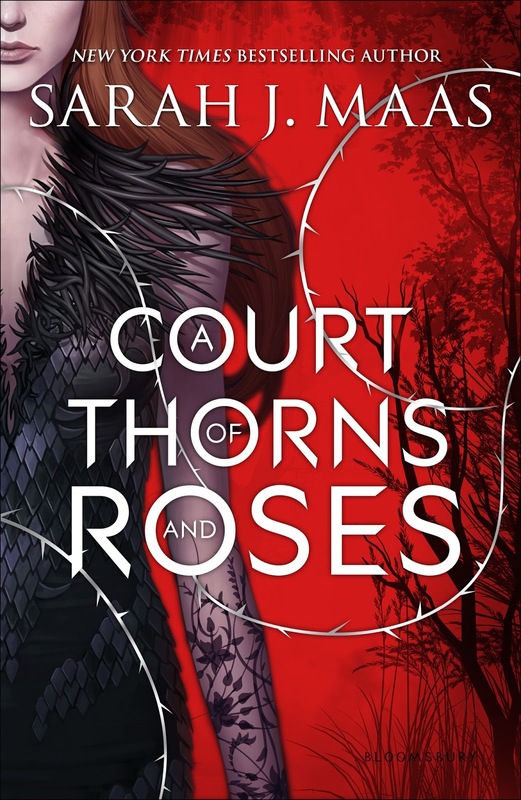 But, considering the fact that ACOMAF has even more explicit material (from what I've heard), I may just call it a day and not finish the series.